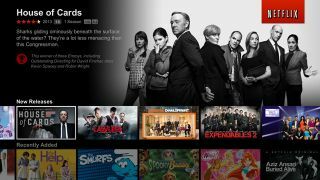 Netflix is no stranger to offering more than one pricing option, but now the company has laid out exactly what it hopes to offer customers down the road. Mixed among its Q4 earnings results - and warnings to net-neutrality-violating ISPs - Netflix revealed it's eying a tertiary price set-up. "Eventually, we hope to be able to offer new members a selection of three simple options to fit everyone's taste," the company stated in a letter to investors. Only new members would be subject to the pricing changes, and Netflix noted in bold that "existing members would get generous grandfathering of their existing plans and prices." The streaming service has been jockeying with a few offerings for the last several months. In the US, the company has been testing 1- and 3-stream plan tiering as well as standard definition and high-definition offerings at various price points. It looks like the end result of all this will be a pared-down, 3-tier price structure, though there's no timeline on when that might happen. "We are in no rush to implement such new member plans and are still researching the best way to proceed," the investor note read. It wasn't mentioned whether Netflix plans to implement the new price plans internationally, though as the service continues to expand overseas, we wouldn't be surprised if one day the 3-pronged plan become global. Like a breath of fresh Air, here's our new iPad review!